Perhaps you've heard the story of the Japanese soldier who refused to surrender and lived in the jungle in the Philippines for 30 years. Lieutenant Hiroo Onoda, who passed away January 16, 2014 at the age of 91, an intelligence officer, was one of the last men refusing to surrender after World War ll. For 30 years, Mr. Onoda refused to surrender. Initially, he and three others in his command, Private Yūichi Akatsu, Corporal Shōichi Shimada and Private First Class Kinshichi Kozuka, refused to recognize Japan's surrender and hid out as long as they could. Pvt. Akatsu left the group in and surrendered in March 1950. Cpl. Shimada was killed in a shootout on May 7, 1954. Pvt. Kozuka was killed in a shoot out with Phillipine troops on October 19, 1972, two years before Lt. Onoda was finally convinced to surrender in 1974. Japan surrendered officially on September 2, 1945. 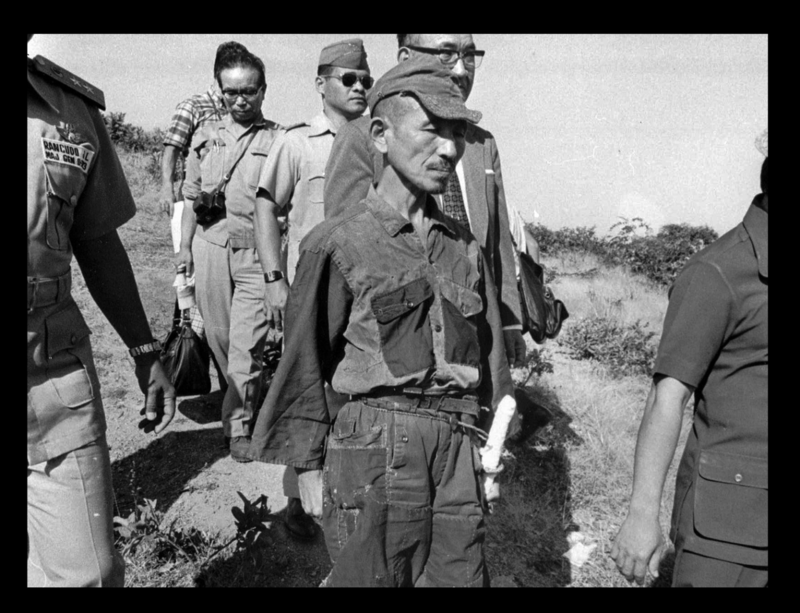 When Lt. Onoda surrendered he was still wearing his uniform which he had patched together over his 30 years in hiding. His service rifle was still in working condition and he also had a Samurai sword. "You are absolutely forbidden to die by your own hand. It may take three years, it may take five, but whatever happens, we'll come back for you. Until then, so long as you have one soldier, you are to continue to lead him. You may have to live on coconuts. If that's the case, live on coconuts! Under no circumstances are you to give up your life voluntarily." Apparently, Onoda was awesome at following orders to a T.
Amazingly, Lt. Onoda was not the last holdout from the Japanese army. Private Teruo Nakamura (aka Attun Palalin) also surrendered in November of 1974 outlasting Lt. Onoda who surrendered on March 9, 1974. Interstingly enough, Pvt. Nakamura was actually Taiwanese and there were questions about which country to repatriate him to when he was found.